What's the Best Stairlift Solution for a Curved Staircase? When it comes to staircase installations, it can get really complicated. The easiest and most affordable scenario involves a straight staircase where the chair lift merely transports the individual up and down. But many homes have curved staircases or 2 sets of stairs separated by a landing. What do you do then? One of your options is to install 2 straight chairlifts in New Orleans. Straight lifts are generally cheaper than custom lifts, and they're pretty easy to install. A straight chair lift comes with small sections of track that can easily be customized to adjust for the length of your stairs. We can even adjust the stair lifts to line up properly with the height of your door or flooring. 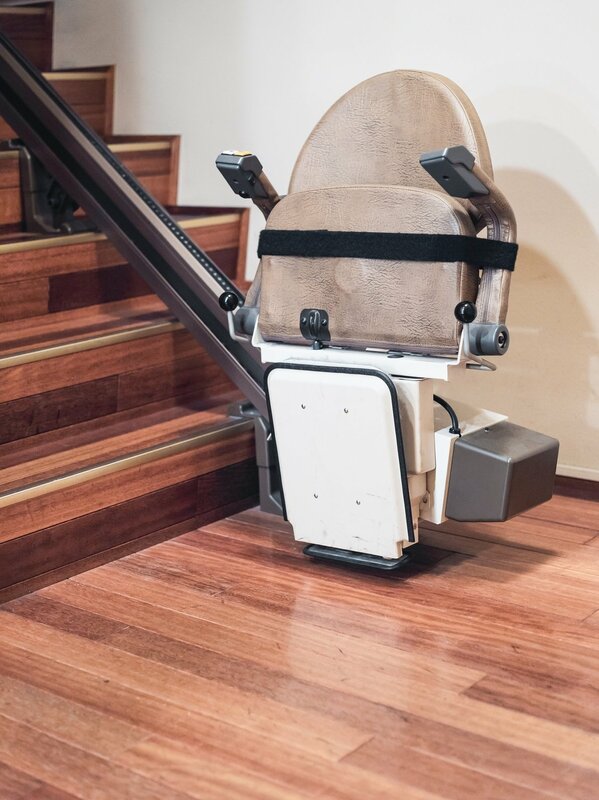 If you're dealing with a staircase that has one or more landings, then we can install 2 sets of chair lifts. If the landing is suitable, we would put the chairs next to each other to make it easy to transfer from one chair to the other. But for a big landing, this might not be possible. In that case, the person using the stairlift would have to be able to walk from one chair to the next. On the bright side, straight chair lifts can be uninstalled and used in a different home in the future since they're not customized. Straight chair lifts basically work in any home with straight stairs. They're also less expensive than curved stairlifts (sometimes even if you have to buy 2 of them). Our handicap lift chairs in New Orleans can be customized to fit any staircase. With a curved stair lift, you can go from the bottom of the stairs all the way to the top, over one or more landings and up several floors if need be. If you're purchasing a home stair lift in New Orleans for someone who can't walk well, then a curved stairlift is a better option than using 2 separate chair lifts. When you choose a custom option for stair lift installation in New Orleans, we'll ensure that the lift works perfectly in your home. While this takes more time than installing a regular chairlift, it's the best option for your loved one in terms of ease of use. The challenge is that there is usually not enough room on the landing to help them from one chair to the next. Similarly, having 2 straight chair lifts for stairs in New Orleans doesn't work well if the individual using them is wheelchair-bound. All in all, curved chair lifts are usually the most effective option if we're not dealing with a straight staircase. A curved stairlift is arguably the best option for a home stair lift in New Orleans if we're not dealing with a straight staircase. But it's also the most expensive option. And since it's highly customized, it only works for your particular set of stairs. 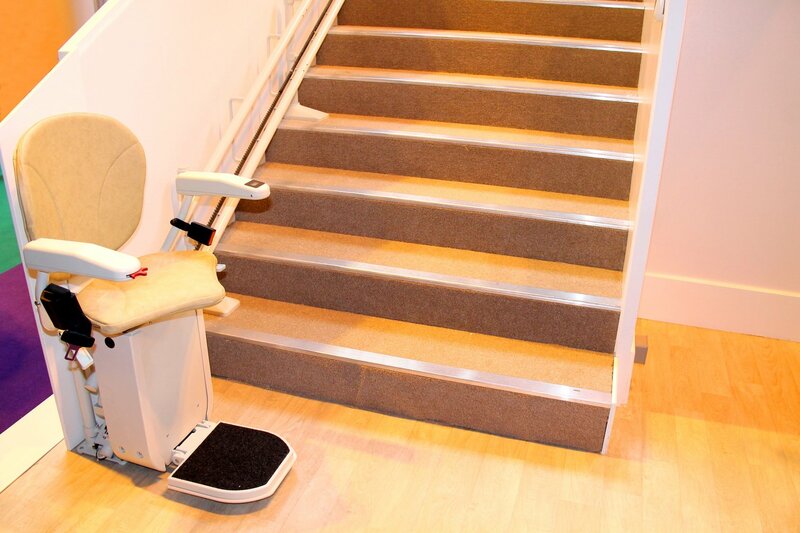 However, if you'll require the stairlift for the foreseeable future, then the benefits might outweigh the costs, especially if you don't expect your loved one to recover enough to mount the stairs without it.